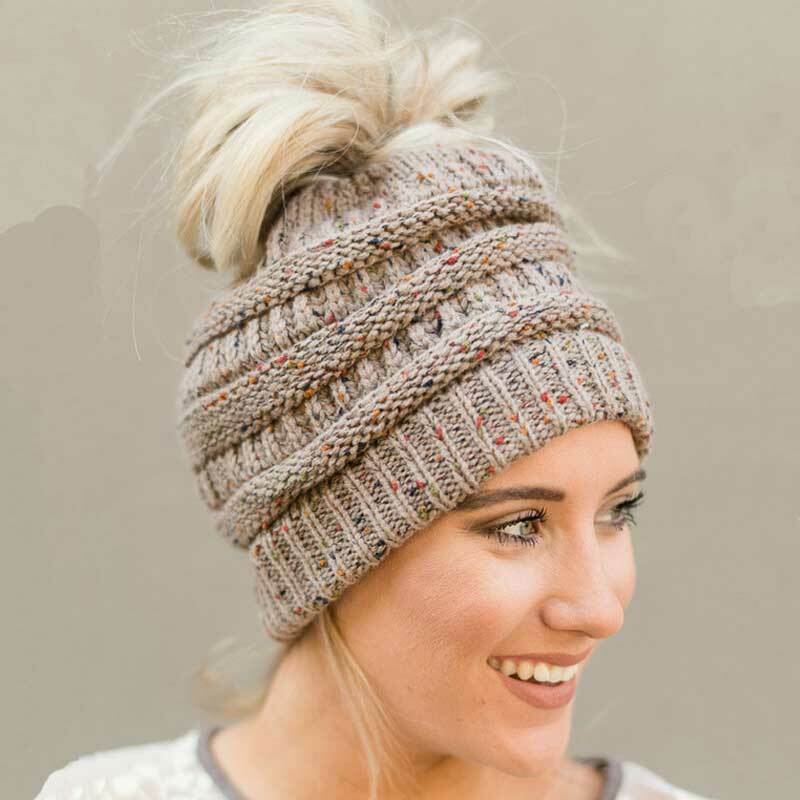 It seems as though, all of a sudden, these adorable beanies are everywhere you look and we are loving the look of this messy-hair don't care knit hats! They are absolutely perfect for the pony-tail lovers of the world! The Cutepony™ Soft Ponytail Beanie has a knitted or crocheted feel and it's specifically designed for long-haired folks who, undoubtedly, have struggled with the age-old: How can I wear a hat and have an up-do at the same time, because these hats are created with a hole built right into the crown. This unique feature makes them the perfect hat to compliment that messy-bun! Each soft knit beanie is handmade and excellent quality! They also come in a large variety of colors, making it easy to find a beanie (or two) that fits your particular wardrobe! Very Cute Hats…. Very Fast Shipping. Wrong colour hat recieved but aliexpress refunded. Choose Random color got grey. Cute! Very nice and for a great price, thanks!